– as a walk in that is not previously reserved. *Anyone ages 4 and under must be in with the same group who has the room fully booked for only themselves. CANCELLATION POLICY: Once it is less than 24 hours before your scheduled game time, the booking customer is responsible to pay for all the spots in the reservation. We have heard your cries for more time! Have you played a room without successfully escaping? Were you soooooo close? Is replaying the room not worth the money because of how close you were- but you really want to finish? 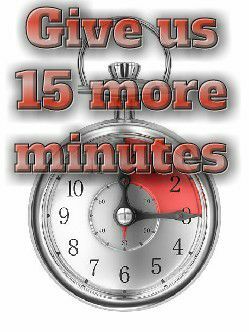 The EXTRA 15 MINUTES Summer Promotion was such a success for our customers that it has now become a PERMANENT option! Please see in store for more details! *This option will ONLY be offered to you if you hit a certain spot in the game that makes it likely that you WILL escape with those additional minutes. In addition, this will only be offered when there is availability in the room directly after your current booking. 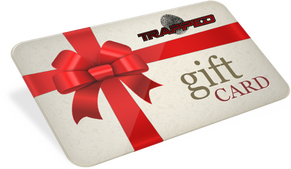 Pick up one of our Online Gift Certificates or Gift Cards Today !